Last week representatives from Brisbane North BUG and Airport BUG met with Geon Property, who will be developing the site over and around the Albion Train Station over the next 15 years. So far, Geon have released detailed designs for the first stage of the Albion Exchange development. It includes a relatively short traffic-free shared path about four metres wide along the northern side of the Albion Overpass between ‘The Hudson’ (a big apartment building on the corner of Hudson Road) and the railway line. That’s an improvement from the earlier version, which would have had pedestrians and cyclists crossing a slip lane motor vehicle entrance to the development off the overpass, so we are pleased that Geon have responded to feedback we and others provided on this issue. We also understand that future plans to build west of the railway line will also include an increased setback to allow a continuation of the shared path, which is again good news. However, that still doesn’t address the issue of a connecting path across the rail line, and down to ground level on the western side. Those sections – sketched here in red – would be left to Council or perhaps state government to fund and build. It’s not clear if they could conceivably be cantilevered off the existing overpass, or would need to be separate structures. Either way, there would certainly be expensive engineering involved. 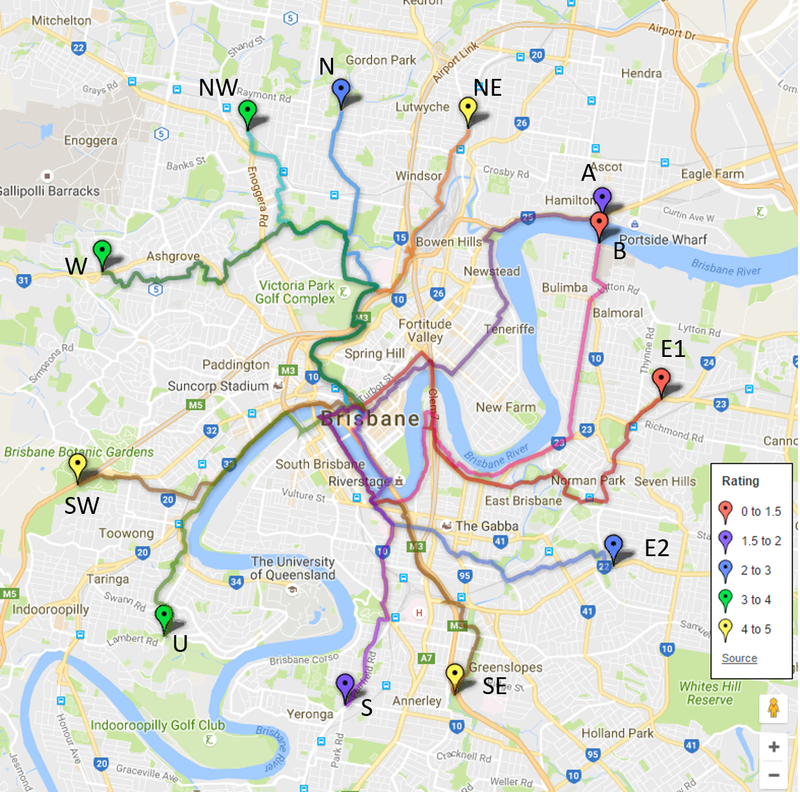 We’re painfully aware of how many areas of Brisbane desperately need better bikeway connections, so realistically, an east-west connection at Albion could be a decade or more away. In the meantime, cycling on the Albion Overpass is daunting and dangerous, and the footpath is barely wide enough for two pedestrians to pass. We’re exceedingly frustrated that the Queensland Government apparently did not make it a condition of development of the land they sold adjacent to and over the Albion Station that it provide a cycle link. The property footprint includes land that was previously Albion Road… and Albion Road appears on the Principal Cycle Network Plan as a high priority route. How on earth did we get to the point that there is now a massive development being built on former publicly owned land – including previous road reserve, and over the top of a rail corridor – without a requirement to include a cycle link on a route that has been identified and agreed as a priority? What is the point of having “cycle network plans” if they are so comprehensively ignored?? We are asking people to lodge submissions about the development (A005013244) via PDOnline. However we feel the crux of the issue here is not that the plan doesn’t comply with the relevant conditions, but that those conditions have not been appropriately set. This is symptomatic of the failure of strategic planning for active transport networks in Brisbane. Also, on a side note, the path which currently runs beneath the Albion Overpass on the east of the rail line (from Corunna/Moore St to Albion Rd) will be swallowed by the new development. Instead of connecting to Albion Rd at ground level, it will terminate in a stairwell in the new tower. Too bad for anyone who is unable to use the stairs. Next Beware the wicker basket brigade!